The absolutely phenomenal Empress of Blues Joanne Shaw Taylor, is coming to Arlington! Yes we know – finally. Tickets are on sale here TOMORROW (Friday 17th April ’15) for her performance on 23rd October. You can also call the box office on 01635 244 246. Dave Stewart invited Taylor to play in supergroup D.U.P when she was just sixteen years old. 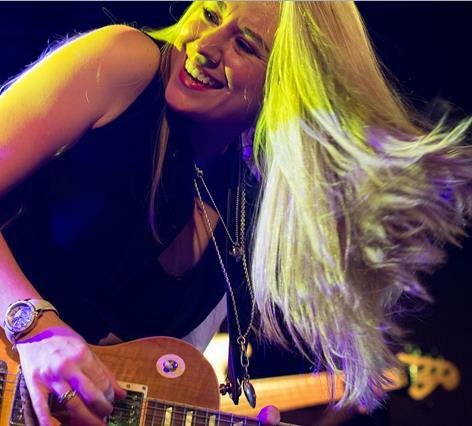 Thirteen years, five albums and a very respectable collection of awards later – Joanne Shaw Taylor is a firmly established Blues name most talked about for her incredible guitar skills. Joanne will perform songs from her recently critically acclaimed album The Dirty Truth, as well as songs from her previous three albums White Sugar, Diamonds in the Dirt and Almost Always Neve,. Her 4-piece band features Oliver Perry (drums), Tom Godlington (bass) and Joe Leadbetter (keyboards).